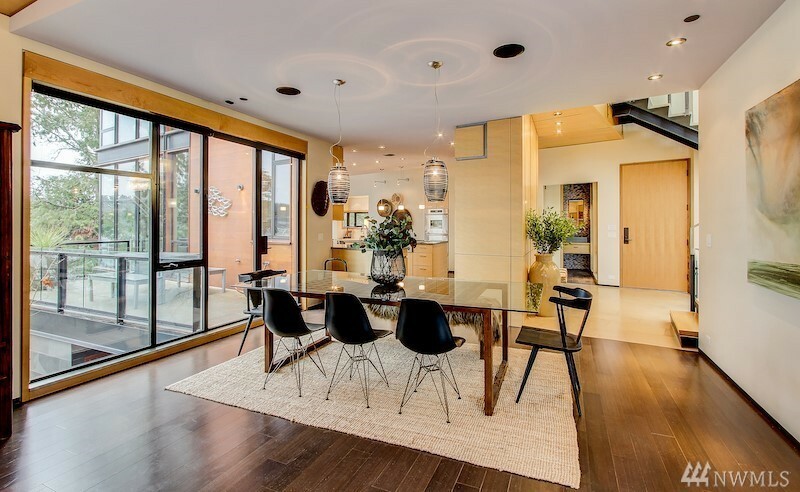 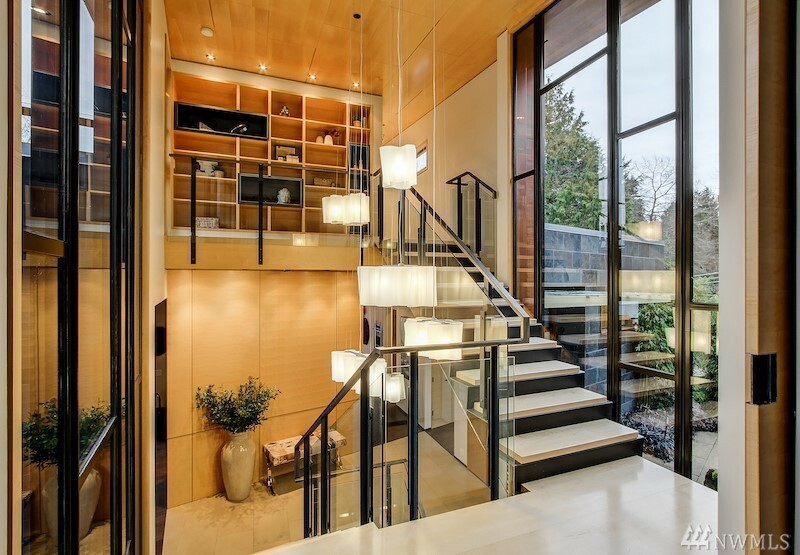 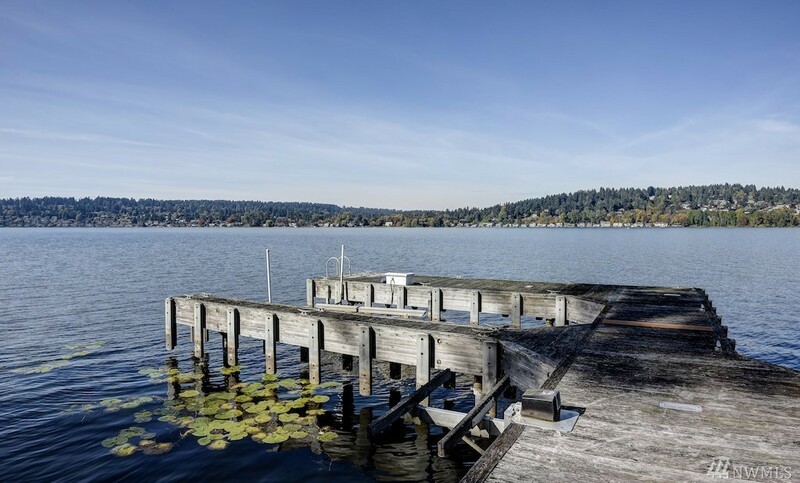 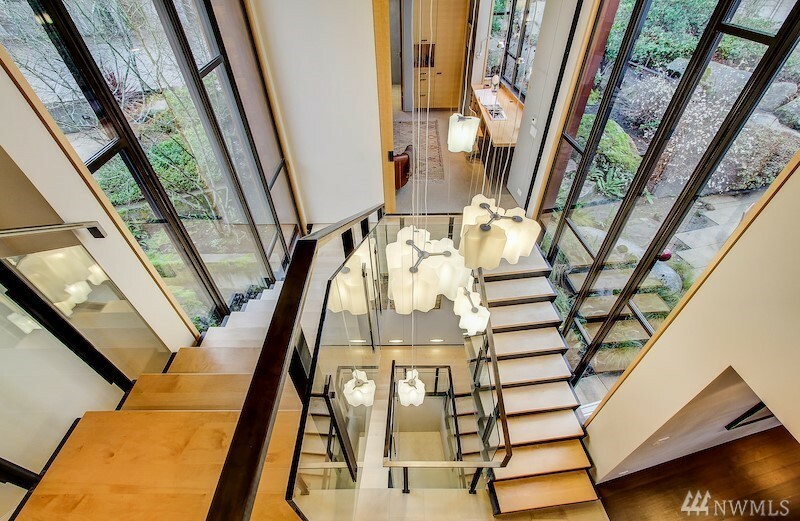 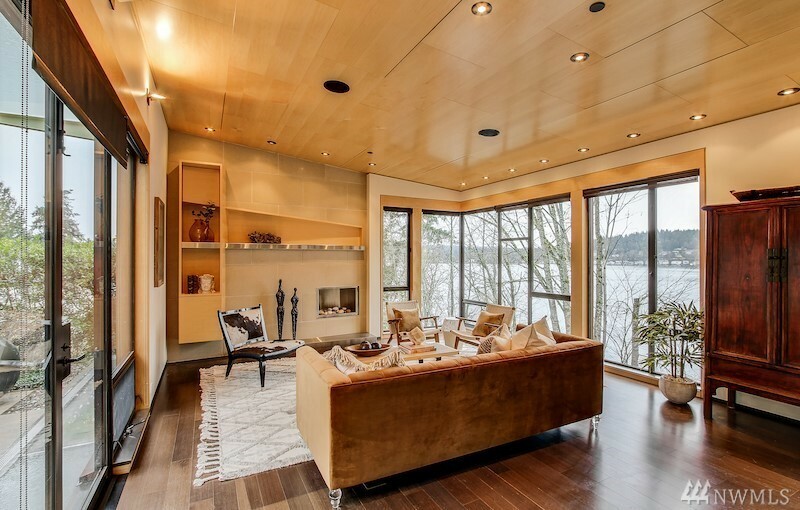 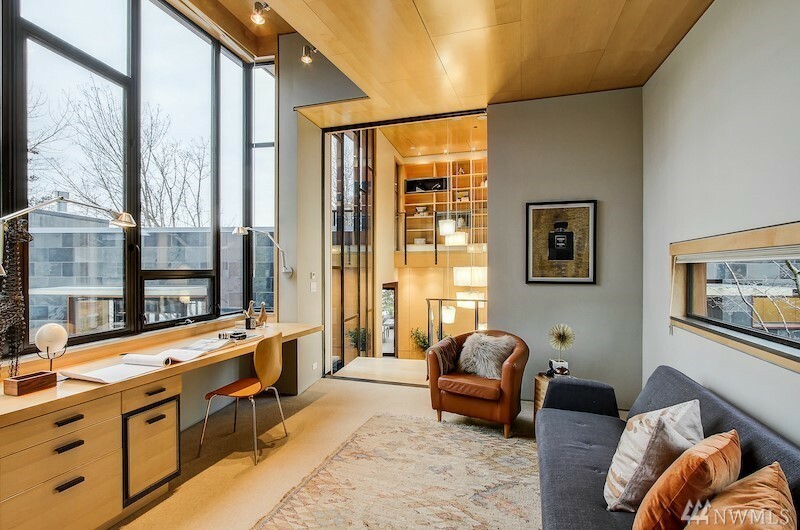 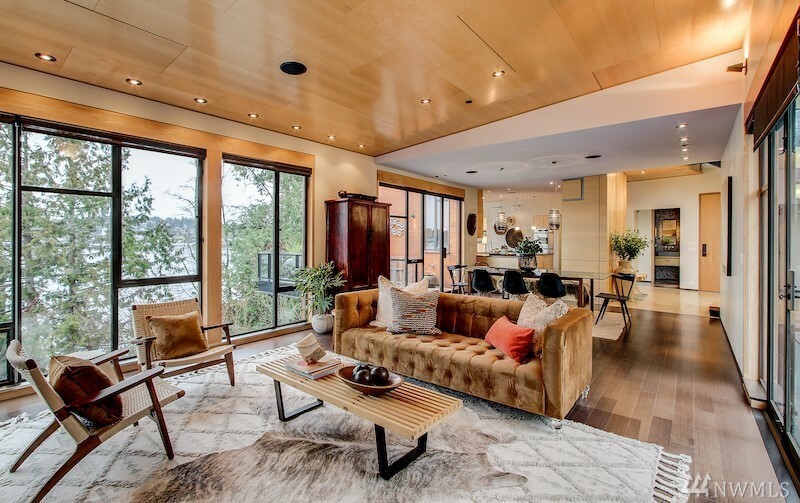 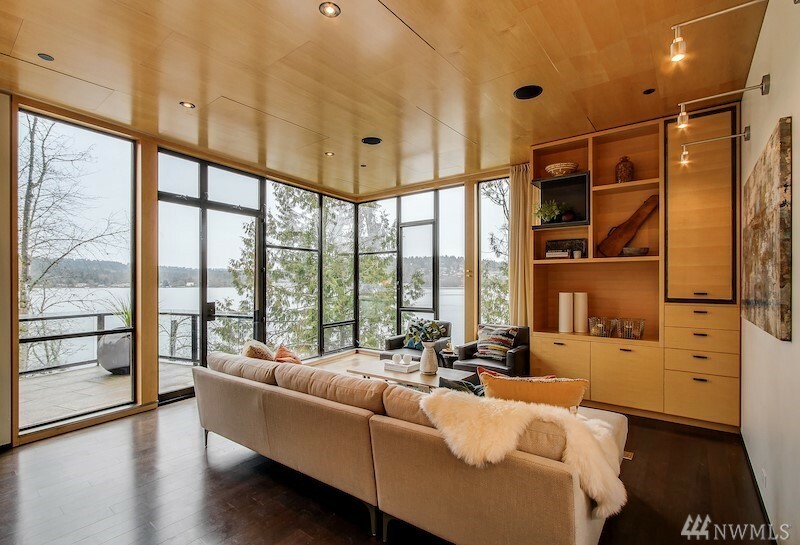 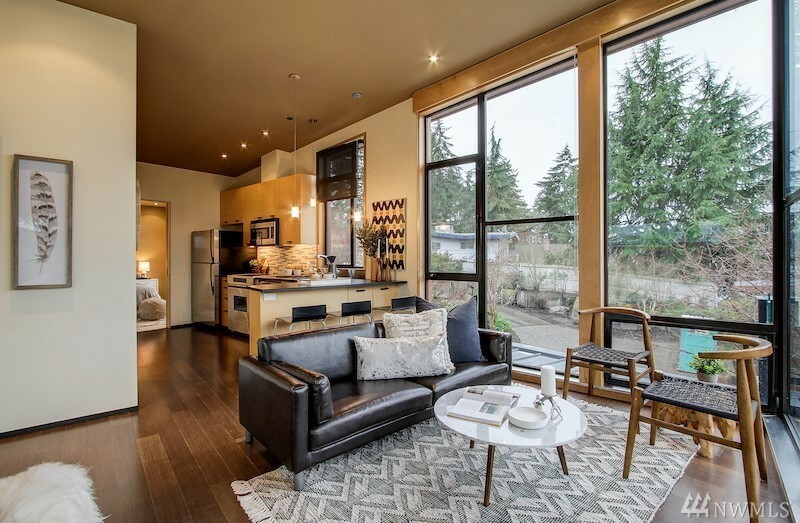 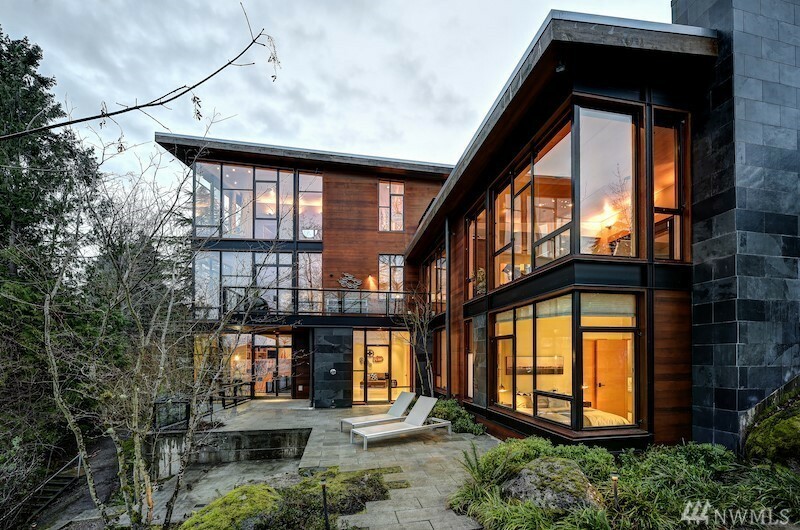 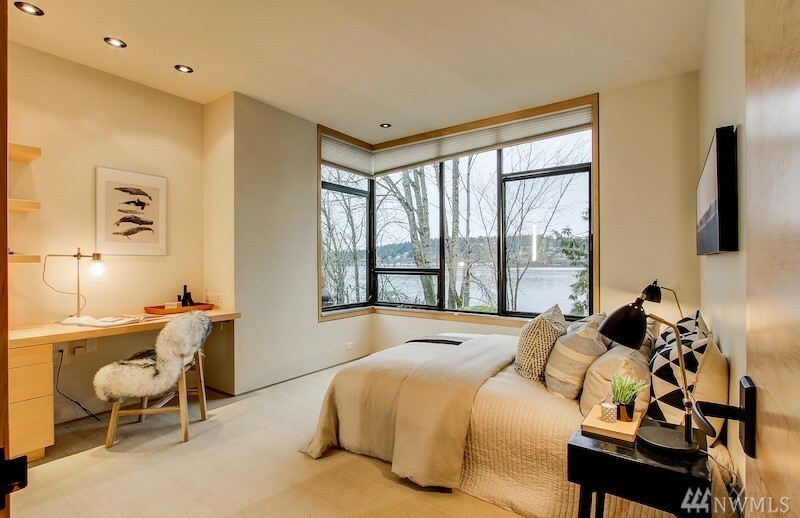 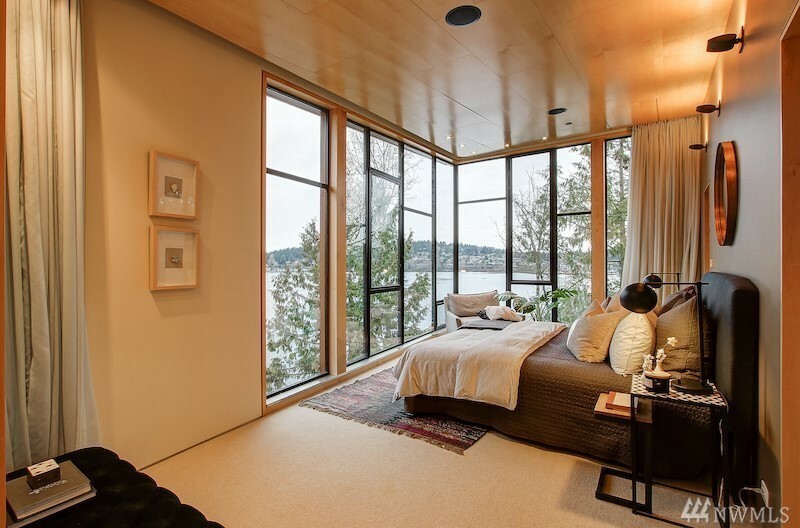 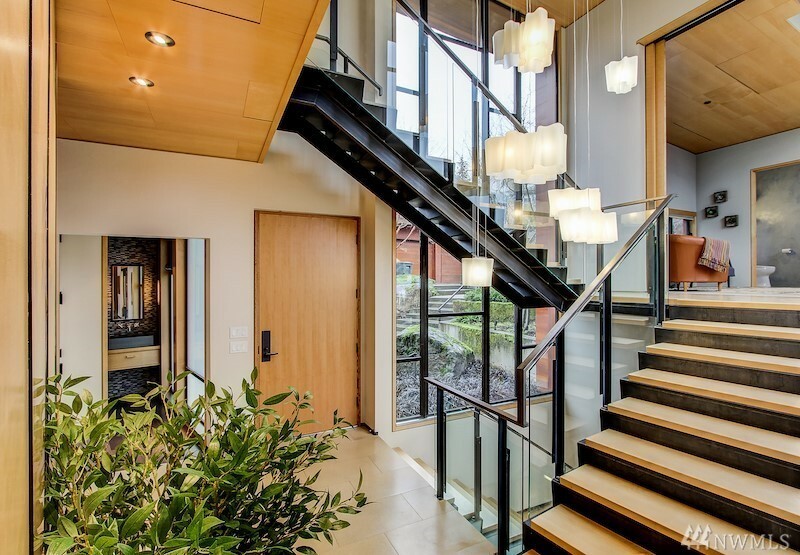 It is fun to check out beautiful, well-designed and well-built homes like this $4.2m home on the shores on Lake Washington at 16328 Inglewood Rd NE in Kenmore. 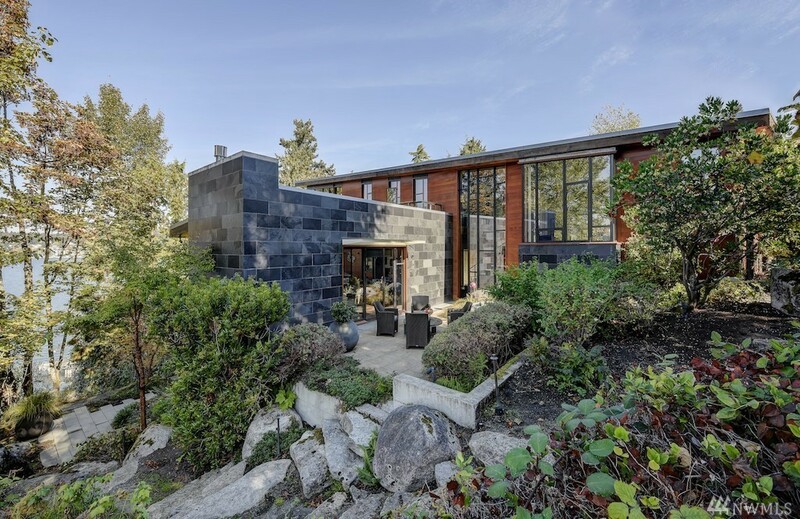 Designed by Geoffrey Prentiss it sounds like no expense was spared with an exterior featuring walls of windows, steel and clad with clear cedar and Montana slate. 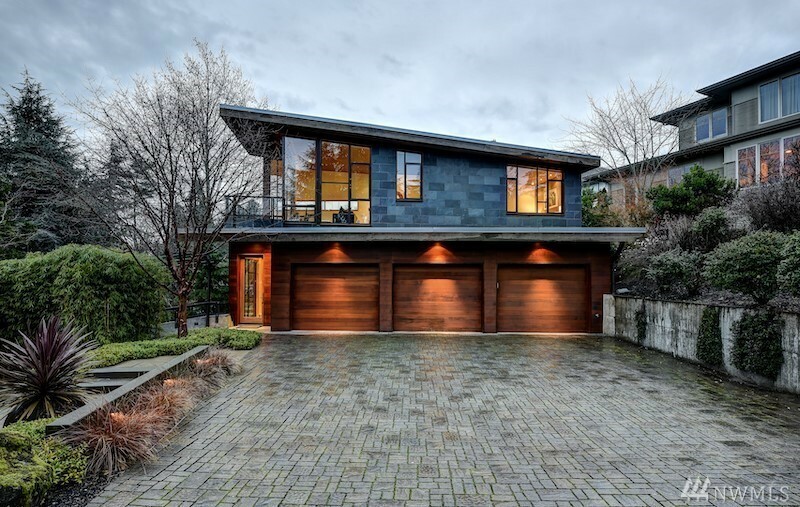 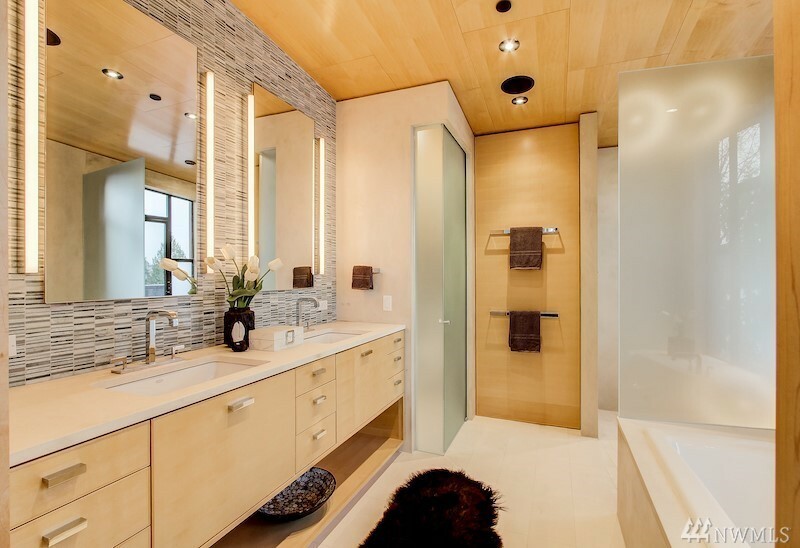 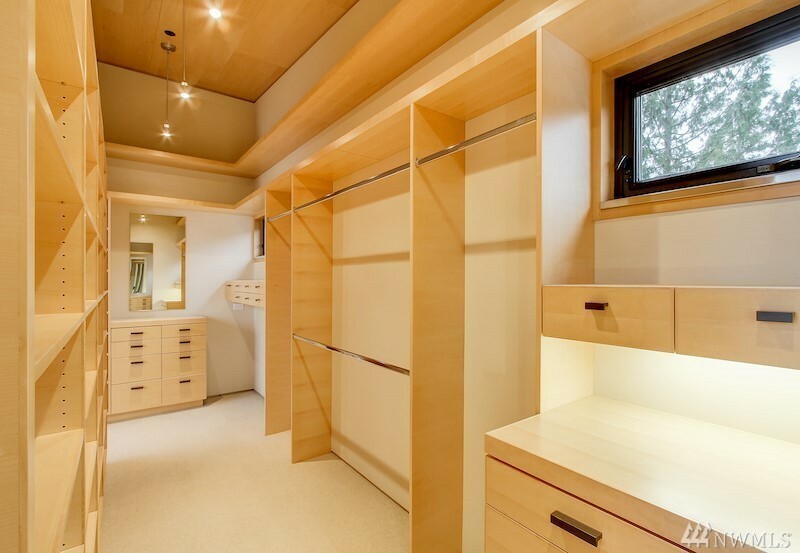 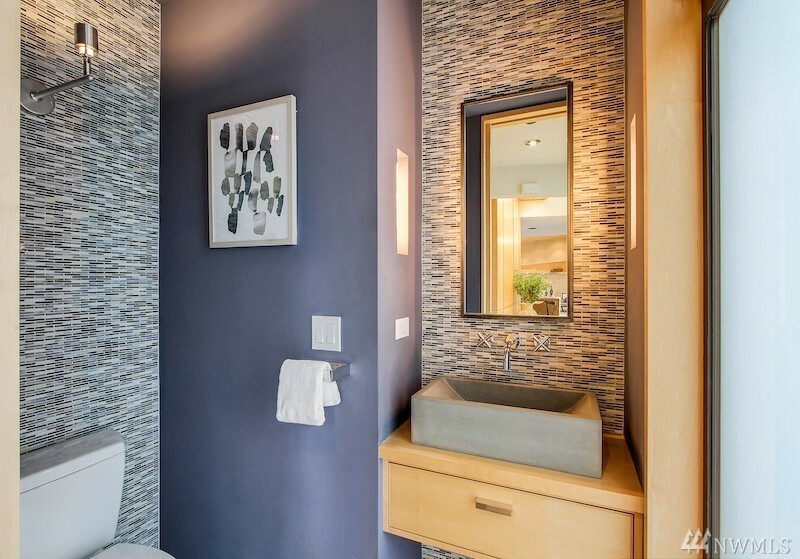 Inside you’ll find maple-paneled ceilings, Wenge African hardwood and hand-troweled milestone bathroom walls. 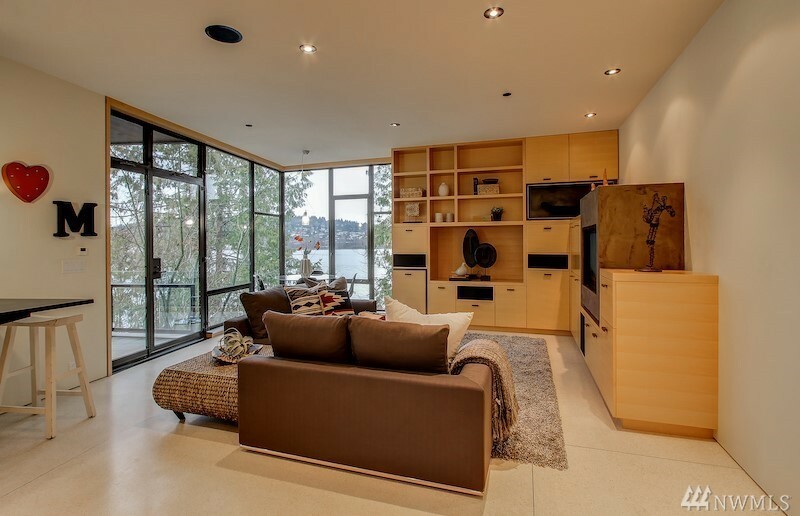 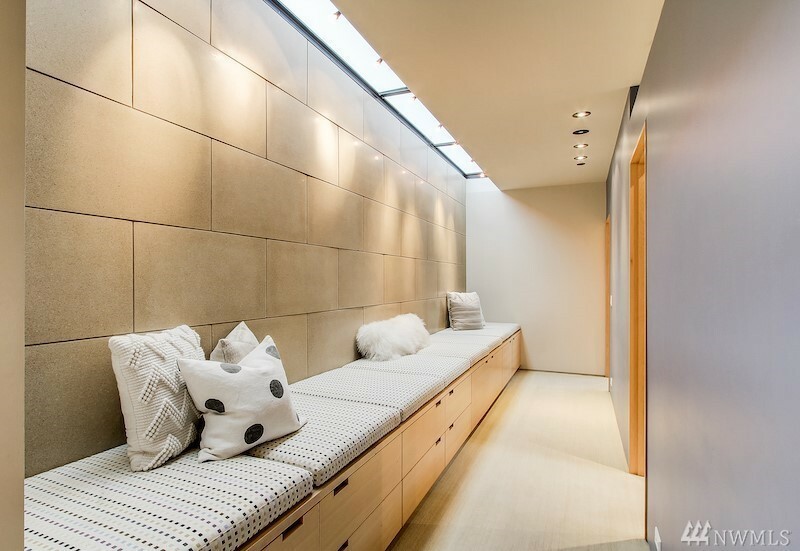 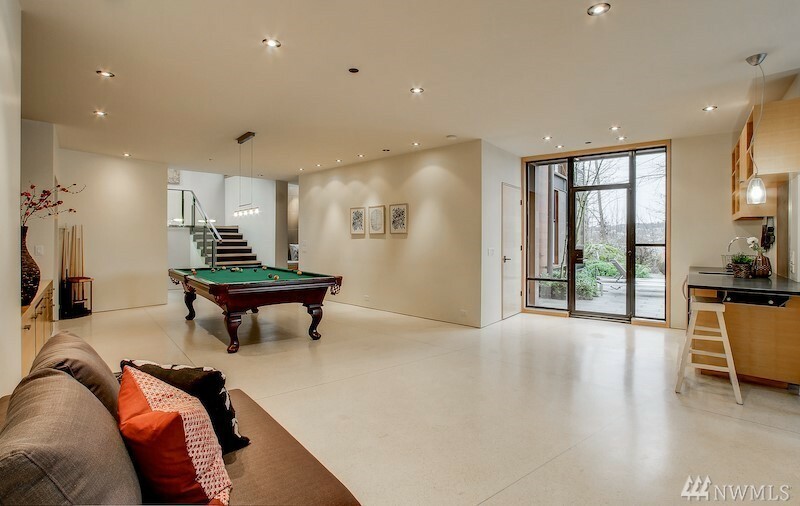 In the winter you’ll enjoy the radiant floor heating. 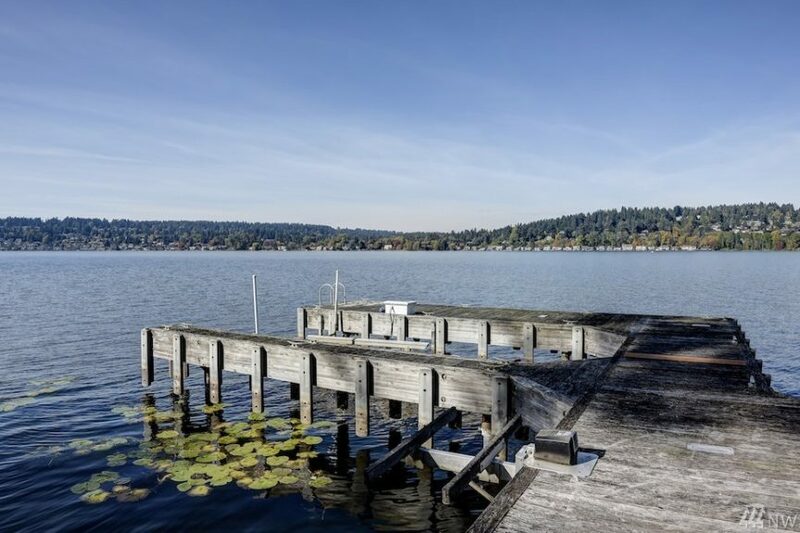 In the summer, the 113′ of no bank frontage with boat lift. 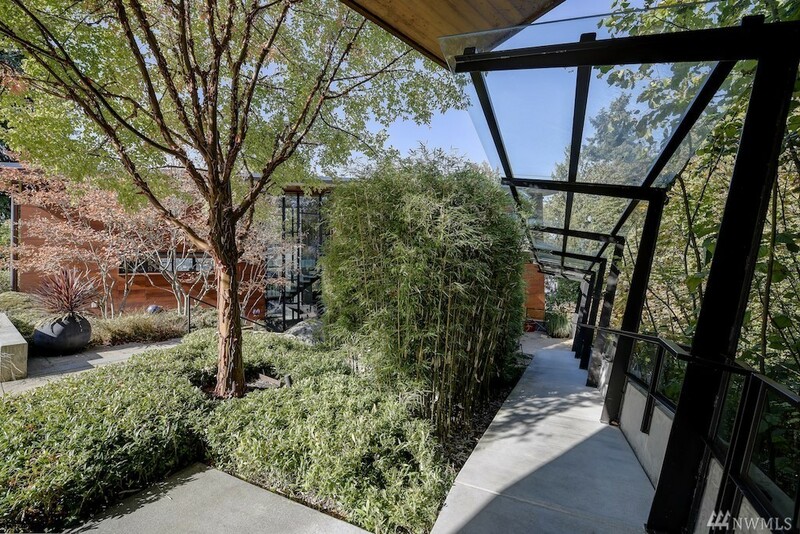 Built in 2005 it is 4,620 square feet on 0.65 acres. 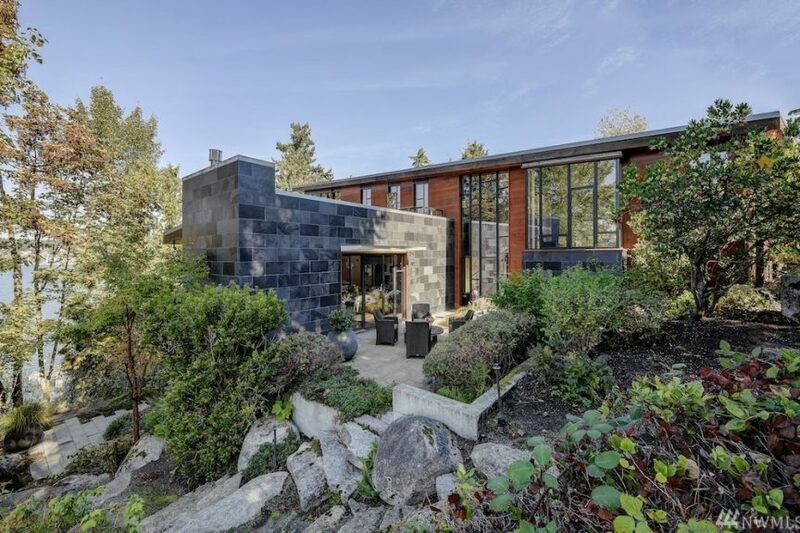 Listed by Spencer King, John L Scott.